Hands up – who knows? 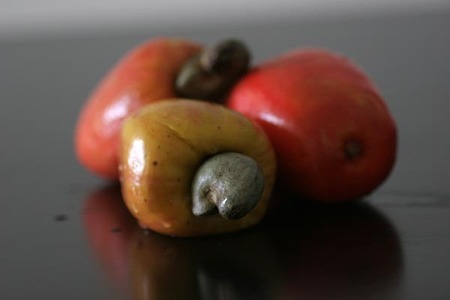 Who knows where cashew nuts come from? A prize to the one that does, and googling it doesn't count. I admit it. 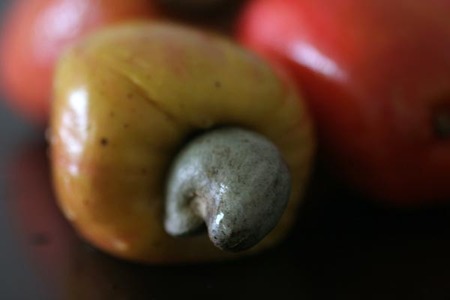 I did not know where cashews come from. I hadn't even thought about it. They probably grow like a peanut, right? Wrong. 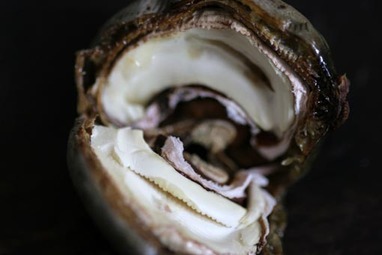 They grow in a hard nut shell on the top of a fruit the size and shape of a bell pepper. One nut per fruit. That's right, you heard me correctly. One nut per fruit. And they're tasty little buggers too. 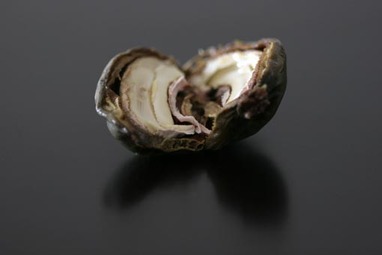 The skin of the fruit is a little chewy, but very flavorful, juicy to the point of spilling out onto your hands and almost citrus-like in flavor, although that's almost non-sensical because the texture is so different. In fact, it's so flavorful that those dear, dear Brazilians make caipirinhas out of it. Bless 'em. I guess you have to find something to do with all that leftover fruit. Love those pictures. I didn't realise that the fruit was so colourful and edible. 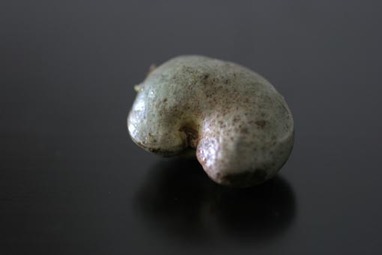 I love the cashew, love's delicious, I recommend!